The Sea Ray 350 SLX is among the boats MarineMax will display at the St. Petersburg show in December. MarineMax Clearwater and MarineMax St. Petersburg said they will display the Sea Ray 350 SLX at the St. Petersburg Power & Sailboat Show in December. 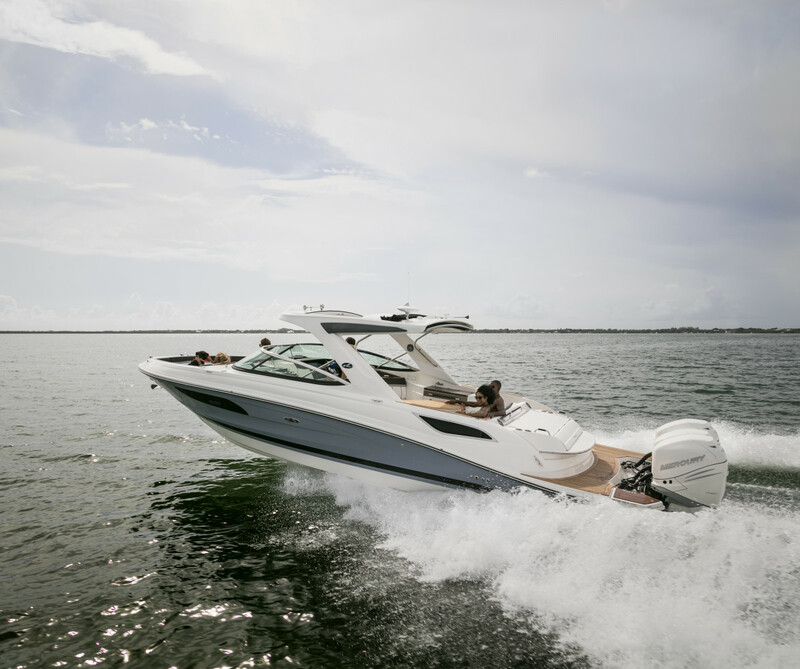 The 350 SLX, which has triple Mercury Verado FourStroke outboard engines and Joystick Piloting, had its world debut at the Fort Lauderdale International Boat Show in November. The Sea Ray boat will be among those MarineMax will display at the St. Petersburg show, which will be held Dec. 1-4 at the Duke Energy Center for the Arts Mahaffey Theater Yacht Basin and Albert Whitted Park.